South Africans should not panic over a US warning of a terror threat in the country as no imminent danger had been uncovered, state security services said on Wednesday. The US Embassy in Pretoria on Tuesday advised its citizens to be on heightened alert against attack, saying extremists may target American interests in the country. “At this stage we have found no imminent danger or threat to the country or the US interests,” said Brian Dube, spokesperson for the ministry of state security. “But we can’t dismiss the threat, as we realise that we are dealing with a serious global phenomenon that no one is immune from,” Dube told AFP. He declined to reveal if any measures had been put in place to boost security around US diplomatic offices or businesses since the alert was issued. The Americans were “very worried about certain individuals who might be a danger”, Dube told eNCA television. The information had been followed up and the conclusion had been reached that there was no immediate threat and “there is no need to panic”, he said. The US embassy issued a general security alert last week ahead of the September 11 attacks anniversary, but the warning on Tuesday appeared to signal a new level of concern. There has been no indication of whether the “individuals” of interest to the US are South African nationals or foreigners. South Africa has escaped the militant Islamist attacks seen in several other African countries. Dube said the local law enforcement agencies “will continue monitoring the situation”. Last week, I stumbled across a BuzzFeed video of children from black families reminiscing about their parents’ struggles to put them through school and give them better lives. They talked of exceptional sacrifices: a mother who went without food to feed her sons, another who left a dancing career because of childbirth, or even the absentee father who made a point of always being there for his son. They spoke of retired parents rejoining the workforce to make enough money to get their children through college and of a mother sacrificing relationships because she wanted to avoid turmoil for her children. Like every normal person, I was moved by these stories and touched by the depth of sacrifice these parents made, as well as the gratitude their children exhibited. My disappointment in humanity however was awakened when I scrolled down to read the comments: “Are you going to make a thing about white families sacrificing for their kids too?” asked one user. “As parents we all make sacrifices for our children,” said another. There is something systemically off with these lines of thinking. First, it is indisputable that all parents make some level of sacrifice for their children. Whether it is the discomfort of waking up in the middle of the night to check their crib, or forgoing something for the sake of their young ones. Nobody denies this. But the problem with the statements above lies in their complete ignorance of historical context. 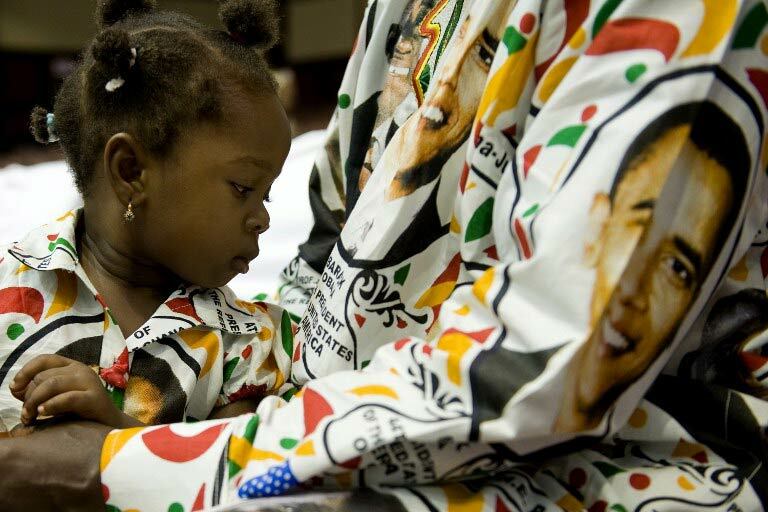 When the video showed black children remembering their parents’ struggles, it did not negate other people’s struggles. It does not mean that because they had difficult childhoods, then everyone else had it easy. When one story is told in positive light, it does not inevitably send everything else in darkness. Thus, the people who felt some level of bias in the story missed a crucial part of American history. History is not comparative in its telling, it is not linear in its production and neither is it singular in perspective. 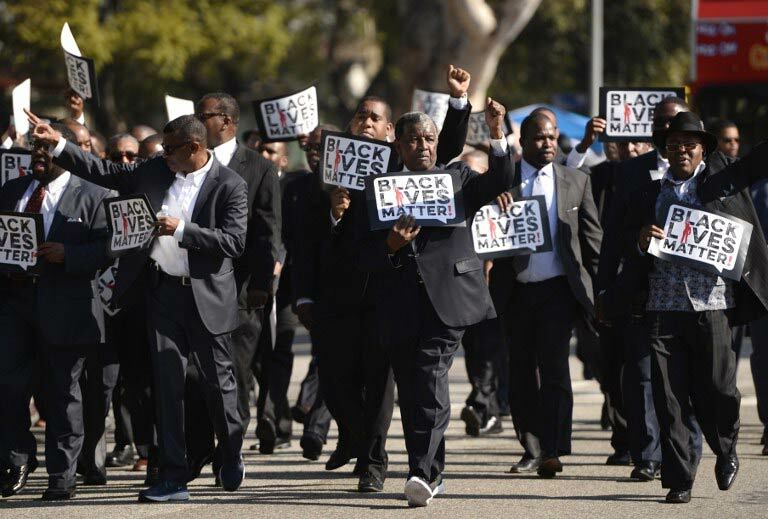 This idea of sameness of struggle is usually echoed in response to the “Black Lives Matter” movement that sprung up after a number of police shootings in the United States. The same people who disregard America’s racial history want it to be said that “All Lives Matter.” But in reality, that statement in itself is an oxymoron and asserting it as true is nothing less than insincere on the part of its proponents. If all lives did matter, then the American justice system would be a completely different scene today. But all lives don’t matter, because American history is one of intended and completed racialisation of minority populations, especially black people. Eric Garner and Tamir Rice are not victims of circumstance; they are a disclosure of successful policy implementation. American history is white history. The same country that declared “all men are created equal,” propagated slavery. If it was self-evident that some men were more equal than others in the founding of America, isn’t it logical that they still would not gain equality in the building of America? Whether it is America’s Prison Industrial Complex, or the Japanese Internment, whether COINTELPRO and the Black Panthers, or the Federal Housing Agency and Colour Coding (aka Redlining) which led to the rise of the Projects, American history was the active disenfranchisement of one racial group at the expense of another. The ideology of racial supremacy that founded the United States informed policy and led to the current injustices facing the black person. If one is not a minority, they have probably benefited from the policies that allowed their families to own a home when other families could not because the FHA would not subsidise their mortgages since they lived in yellow or red lined zones. My point is not that people who are racialised as white are automatically racist, but they have benefited – whether intentionally or unwittingly – from the historical injustices of racism. It is only in failing to understand this fact that you can hastily declare that all lives matter, and thereby repeat the incongruities in the founding documents of the American state. You will not understand that poverty breeds a social bubble in which violence is the only outpouring of economic frustration, because you have never needed to be violent. If you have only been on one side of history, you will never understand what it means to bend the arc of history toward justice when your opponent has power on their side. You will not easily wrap your head around the fact that at some point, this history shows itself in modern life; that this context paints the black life in all shades and hues. So, we could probably make a video of white children talking of their parent’s struggles after the housing bubble of 2008, or even of those white innocent people who die of police brutality. But we cannot account for their history because it has been the only history that has been told. What of that one police officer who likes black children? Or what of the fact that you have black friends? Or what of the fact that you have been to Africa? If you think these can erase the fundamental flaws and systemic injustices created in the writing and telling of American history, you are part of the problem. Franklyn Odhiambo is an alumni of the African Leadership Academy, and a student of Political Science and Public Policy at the University of California, Berkeley. He is a Kenyan. His name hangs like a talisman across Africa, from the President Barack Obama High School in Nigeria to the Obama Barbershop in Tanzania, so delighted is the continent to have an American president it can call its own. Yet Obama’s trip this week will be only his second to sub-Saharan Africa since he became president more than four years ago. His first was a flying 20-hour trip to Ghana in July 2009 (preceded weeks earlier by a stop in Egypt). So it’s no surprise that wherever he goes this week Obama will be faced with questions about how well he has treated his father’s homeland. For in the race to do business with an increasingly prosperous and opportunity-laden continent, America is lagging behind. The United States is no longer Africa’s leading trade partner; it lost that position to China in 2009. In contrast to Obama, the new Chinese president, Xi Jinping, visited the continent on his first trip abroad – an indication of its strategic importance to Beijing. It’s a perfect partnership: China needs resources and Africa wants cheap imports and investment. Countries such as Japan, Brazil and Turkey are also aggressively positioning themselves to get in on the act. At the same time, the Obama administration appears to be struggling to develop a coherent African strategy. In August 2009, barely a year into the administration, Jendayi Frazer, US assistant secretary of state for African affairs during George Bush’s second term, lamented “the Obama administration’s penchant for lecturing Africans rather than listening.” Indeed Hillary Clinton, Obama’s first-term secretary of state, seemed to spend much of her time warning Africans to beware of China. Journalist Howard French wrote recently of the need to “put an end to the belittling, small ball ritual whereby African leaders are invited to Washington in groups of three or four (as if an African country by definition didn’t merit a one-on-one discussion), offered a quick photo opportunity, a few homilies about democracy and governance and then sent on their way”. 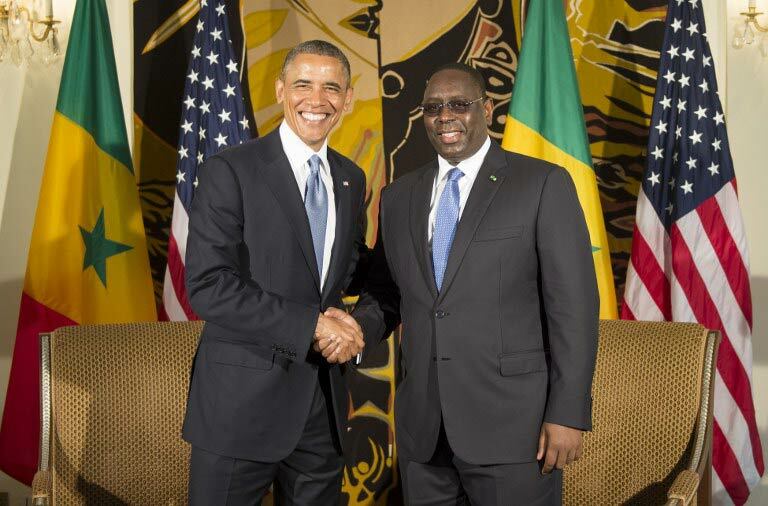 Obama’s much-vilified predecessor set a pretty impressive record of engagement with Africa. Under Bush II the US government launched Pepfar, a remarkably successful $15-billion commitment to tackling HIV and Aids. The Millennium Challenge Corporation, a US foreign aid organisation that rolls out poverty reduction programmes in developing countries (much of its work is in Africa), was established during the Bush era. The Bush government left footprints across the continent beyond the aid arena. It played a role in the signing of the peace agreement that brought an end to decades of civil war in Sudan, showed a lot of interest in bringing an end to the wars in the Congo region, and helped bring about an end to the civil war in Liberia, helping ensure Charles Taylor’s resignation, and eventual arrest and prosecution. (Taylor has of course since wondered aloud why Bush is himself not facing prosecution for his own “crimes”). Against this background of US, Obama comes across as positively neglectful. His only activity of note has been to ramp up US military activity in Africa, adding drone bases and deploying significant numbers of troops. When he was first elected there were celebrations across the continent, and perhaps unrealistic expectations that he would champion African interests on the world stage. Indeed on his first visit to Ghana, he declared that he had “the blood of Africa within me”. Since then his absence has been keenly felt, sparking accusations that he has betrayed his roots. But is this fair? Does Obama have a special responsibility to the continent, because of his ancestry? Perhaps not. Perhaps the emphasis on Obama as a black president is missing the point. Because it’s not just for reasons of solidarity that the US president should attend to Africa. There are more selfish reasons, both , economic and political, as well. Africa, as the much-touted “last frontier” for global trade and investment, is today arguably more important than at any other time in its history. Obama would do well to provide more government support to American investors and entrepreneurs seeking to do business in Africa, and to nudge Congress to relax limitations on the US export-import bank’s mandates. To allow the continent to increase its share of global trade – currently only about three percent – America ought to lead the way in abolishing unfair trade tariffs and agricultural subsidies. America can and should also do more to use its clout to deter the global flow of the proceeds of African corruption – whether it’s stolen crude or laundered money – and impose sanctions on the beneficiaries. “Two-term presidents traditionally devote most of their second terms to foreign policy, which they can control with less interference by Congress,” wrote journalist Jonathan Alter in The Promise, his book on Obama’s first year in office. The world will be watching to see if that holds true for Obama, and how much of this devotion will be directed at the continent where his father was born and lies buried, and where there’s so much opportunity to leave a lasting presidential legacy without having to break America’s bank.